KAUST Daycare offers excellent opportunities, facilities and resources for children from the age of 2 months to 3½ years to grow, develop, learn and play. There are currently three daycare sites: Islands Daycare, Harbor Early Childhood Center and Gardens Early Childhood Center. 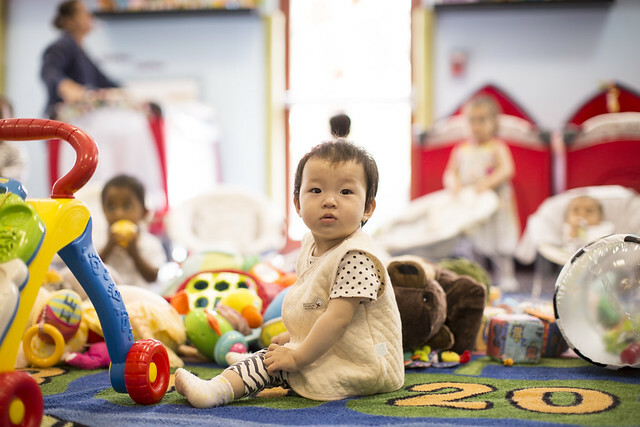 Our purpose-built centers provide excellent early childhood care, as well as after school and school holiday cover for children who attend Kindergarten. Our after-school programs support children to achieve a smooth transition to the IB accredited school at KAUST. Open Door Policy - parents are welcome to visit the Daycare facilities at any time of the day and join in some of the many activities and field trips the children enjoy. Information Sharing - we encourage daily contact with your child's teacher so that information and news can be shared. Parent Conferences - these occur twice a year and give parent's the opportunity to learn about their child's development and to ask questions. Special Events - parents are welcomed to key events to celebrate with their child/children, e.g. Graduation, International Week, Saudi National Day. The last bi-annual Daycare survey was undertaken in April 2018. 74% of parents completed the survey and 94% were very happy with the care and service that is being provided. The team at the KAUST Daycare are continuously looking for ways to further develop links with parents, the community, KAUST Health and The KAUST School.